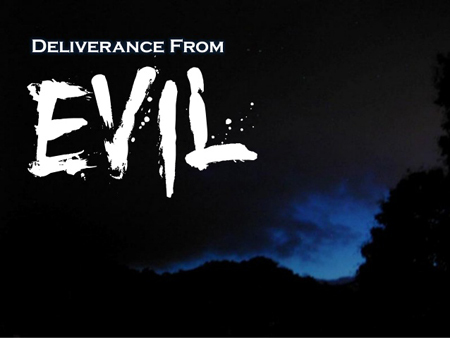 Deliverance may be defined as the compassion of the LORD Jesus Christ; demonstrable in confronting the powers of evil and wicked spirits imprisoning afflicted and suffering souls. Souls under direct and indirect influence of the wiles of demonic and satanic spirits; are victims of such wicked and merciless powers of darkness. This compassion is the welling up of earnest desire to see the Kingdom of God manifest in power in the lives of those afflicted, oppressed, possessed and tormented by powers of evil and wicked spirits. The LORD Jesus Christ had compassion on the suffering, afflicted, infirmed, oppressed and possessed. 30 And, behold, two blind men sitting by the way side, when they heard that Jesus passed by, cried out, saying, Have mercy on us, O Lord, thou son of David. 31 And the multitude rebuked them, because they should hold their peace: but they cried the more, saying, Have mercy on us, O Lord, thou son of David. 32 And Jesus stood still, and called them, and said, What will ye that I shall do unto you? 33 They say unto him, Lord, that our eyes may be opened. 34 So Jesus had compassion on them, and touched their eyes: and immediately their eyes received sight, and they followed him. See also Mark 5:14 - 19 and Luke 7:10 - 15 (King James Version) . Many references in Scripture demonstrates without doubt the unquestionable attributes of Jesus' compassion, grace and mercy for many who were undeserving of it, but were nontheless beneficiaries of it. The LORD is gracious and compassionate, slow to anger and rich in love has never forgotten His compassion and tender mercies. The fact The LORD Jesus Christ is no longer physically present does not mean that His compassion has ceased or come to end. The healing and deliverance ministry of Jesus Christ continues to be exercised through His Body, which is the Church today. 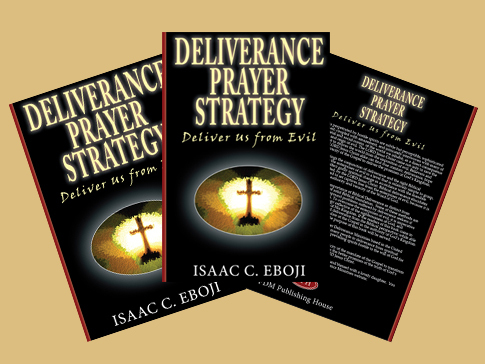 It should be acknowledged that not all within the body of Christ embrace deliverance, but will have many in their ranks plagued and tormented by demonic and satanic spirits. Rarely if not hardly ever will demonic and satanic spirits give up the right to impose their loads of affliction, oppression and torment on their victims without a fight, and it is precisely for this reason deliverance was never optional with the initial disciples of Jesus Christ, but of necessity and fundamental hallmark of the Kingdom of God in demonstration. Deliverance of the spiritually afflicted at its best, points to the greatness of God and His sovereignty; demonstrated in His unfailing ability to subdue all things to Himself: including demons, powers of evil, Satan and all his wicked works; making them conformable to His will. Therefore in outworking of deliverance ministry, the preeminence of the LORD Jesus Christ can never be overstated and should never be understated; when engaging the powers and works of spiritual darkness in the afflicted, imprisoned and tormented souls. Every indication in the Bible points to the inevitable conclusion that all believers of The LORD Jesus Christ are called to engage in deliverance, within a meaningful context influenced by the right biblical and not necessarily theological understanding of the Scripture. This is because matters pertaining to the spiritual from the perspective of God, are not influenced or shaped by culture or tradition, but are spiritually discerned. This reasoning comes not from a private interpretation of Scripture but from what Scripture actually declares. 12 Now we have received, not the spirit of the world, but the spirit which is of God; that we might know the things that are freely given to us of God. 13 Which things also we speak, not in the words which man's wisdom teacheth, but which the Holy Ghost teacheth; comparing spiritual things with spiritual. 14 But the natural man receiveth not the things of the Spirit of God: for they are foolishness unto him: neither can he know them, because they are spiritually discerned. 15 But he that is spiritual judgeth all things, yet he himself is judged of no man. 16 For who hath known the mind of the Lord, that he may instruct him? but we have the mind of Christ. The above Scripture reference is equally supported and reinforced by discerning or distinguishing of spirits granted through the gifting of Holy Spirit in see 1 Corinthians 12:10 (King James Version) . Now if God felt and knew there would be no need then or in the future for the believers to distinguish between spirits; then He would never have enlisted that gift to be operable in the Church. As things stands, there are many spirits in this world clearly antagonised by the Gospel of the LORD Jesus Christ. They are against God and the interest of His Kingdom in setting captives free. The gift of discerning or distinguishing between spirits is given to the believers for the express purposes of identifying amongst others, spirits working against the Kingdom of God. Since there are bad and evil spirit (demons and fallen angelic orders under Satan), it follows that there are also good spirits (angelic orders that obey the will of God). It is imperative to know that although there are good spirits, these spirits are ultimately not to be venerated or worshipped in any way, as to do so would be idolatry. Those who subscribe to the worship of angels, guardian angels, spirit guides, saints or any other spirit other than the Spirit of the Living God, are idolaters committing grave acts of sin. True believers of the LORD Jesus Christ and emissaries of His Kingdom would not do such things. The demands of modern life combined with general apathy and unwillingness coming from the mainstream churches to engage in this task of the Kingdom of God; means that we don't often know where to begin or what to do with deliverance; a subject and ministry of much debate and controversy in many parts of the Western world. There are those within certain quarters of the Church who would have you believe that evil spirits do not exist and the kingdom of darkness and Satan are figments of the imagination. This is partly due to a cultural shift in thinking and the domineering demands for the mainstream Churches to conform to the scientific worldview. So for example all cases of spiritual oppression and possession are to be viewed as mental illness issues opposed to spiritual. It is a view that sits extremely comfortably well with the mainstream churches but one the come at a great cost to the spiritually afflicted. However, the overwhelming experience of many who have dabbled into the world of new age, occult and witchcraft and later became victims of demonic attacks, understands the existence of these evil entities to be an objective reality they struggle with everyday. It may come as a shock and surprise to some but many Christians are increasingly becoming entangled with subtle occult activities, that has left them precariously open to satanic influences and prone to spiritual attacks. If you have been a victim of paranormal activities, demonic encounters, demonic oppression, demonic possession and spiritual attacks, getting the right help is not optional, but an essential necessity, to prevent further degradation of your sanity and well being. Failure to act against the wicked activities of the powers of darkness is viewed by them as a legitimate expression of your consent for such demonic activities to take place. It will in most cases lead to frequent regular attack at a time and choosing of the powers of darkness; making the attacks sustained all the more complicated. Ultimately, not only will this be detrimental for victims of evil and wicked spirits, but could force upon them a perverted channel through which they are subjugated further by exposure to the daily oppressive reality of the world of evil spirits. Such perverted channels must and need to be closed, in order to prevent further exploits by the powers of this dark world, leading many in their droves into spiritual oblivion. It is tragic to find so much opposition to deliverance and spiritual warfare generally, in the Church. It must seem a distant memory that once upon a time the LORD Jesus Christ graced this planet and went about preaching, teaching, healing, casting out demons and doing good works. Yet most Christians would agree that if Jesus appeared again in person; He would spend a lot of His time preaching, teaching, healing, casting out demons off of people and doing good works on the streets, villages, towns, cities and countries of the seven continent of this world. Doubtless that is the case; then He would require His believers and would be believers to follow His example. Those in the body of Christ that refuses people deliverance are doing the Devil and his kingdom a great service. For by their very own action, they are quenching the fire of the Holy Spirit given to the Church. 19 Quench not the Spirit. 20 Despise not prophesyings. 21 Prove all things; hold fast that which is good. 22 Abstain from all appearance of evil. 23 And the very God of peace sanctify you wholly; and I pray God your whole spirit and soul and body be preserved blameless unto the coming of our Lord Jesus Christ. In Luke Chapter Four the LORD Jesus Christ had just undergone the most intensive temptation by the Devil, which no other person could have possibly endured and overcome after spending several weeks in the wilderness without food and water. We should be absolutely clear in our minds that Jesus faced and was tempted by a real Devil, and not as some would suggest, symbolic of an imaginary entity embodying the wickedness and all that is wrongs in this world. Jesus emerged from the wilderness and temptations by the Devil victorious. He then delivered His manifesto and mandate for saving and bringing souls into the Kingdom of God. 18 The Spirit of the Lord is upon me, because he hath anointed me to preach the gospel to the poor; he hath sent me to heal the brokenhearted, to preach deliverance to the captives, and recovering of sight to the blind, to set at liberty them that are bruised, 19 To preach the acceptable year of the Lord. Echoing the prophecies and predictions of the prophet Isaiah see Isaiah 61:1-2 (King James Version) . The LORD Jesus Christ never intended or expressed a time before His second coming, where the act of deliverance would cease. Indeed there is no biblical case purporting or supporting such a view. For as long as the the demonic and satanic spirits are in the world causing and creating havoc, wrecking lives, oppressing and tormenting the suffering souls; the act of deliverance will continue to offer and deliver the manifesto and mandate of the LORD Jesus Christ; bring the rule and reign of His kingdom to bear on the works of the Devil.